Author follows that path of his missionary grandfather in the Pacific. The author's missionary grandfather is the inspiration for this journey to the South Pacific to follow his path a century later. 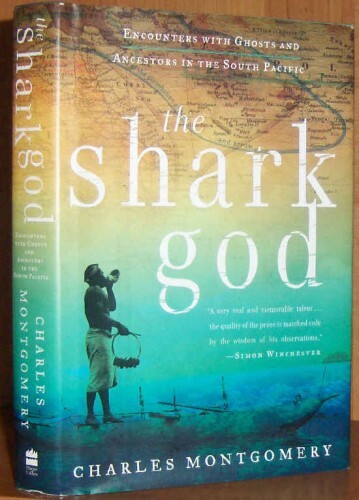 "Alternately terrifying, moving, and hilarious, with overtones of Melville and Conrad, The Shark God is Montgomery's extraordinary and piercingly intelligent account of both Melanesia's transformation and his own. This defiantly original blend of history and memoir, anthropology and travel writing, marks the debut of a singular new talent."